manufacturing sites these days that we tend to forget these workhorses weren’t always around. Even so, they have been around for quite a while – almost 100 years, if you can believe that. In 1917, we saw the introduction of powered tractors and tractor lifts in factories, courtesy of Clark Material Handling. Just 3 years later, Yale & Towne Manufacturing started selling lift trucks. From 1920 through the 1930’s forklift-like machines were introduced, tweaked, and redesigned. It was World War II that brought about the widespread use of forklifts, as they were seen as being more manoeuvrable, efficient, and adaptable than trucks in a warehouse or factory environment. Forklift propane made its debut not long afterwards – in the 1950’s. The original cylinders were designed based on the amount of fuel that would be needed to power the forklift for an 8-hour work shift. The end result was 33-pound steel cylinders for 4-cylinder forklifts and 43-pound steel cylinders for 6-cylinder forklifts. Over time, manufacturers were able to develop efficiencies that reduced the weight of empty cylinders by replacing the steel with lighter materials. 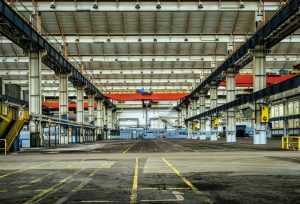 As concerns over greenhouse gases and emissions grew throughout the following decades, forklift manufacturers had to start meeting more strict emissions standards. Machines that ran on forklift propane became even more desirable since propane gives off so few emissions. Today, propane forklifts are valued for the same reasons. They are efficient and have low-emissions while also being nimble, manoeuvrable, and able to lift heavy weights. Josef Gas can provide you with the forklift propane your site needs. We operate the largest single storage propane tank facility in the GTA and have our own fleet of trucks to ensure timely delivery. Our cylinder exchange program includes cylinders and cages to keep your propane organized and secure. We offer on-call deliveries as well as automatic deliveries of forklift propane for forklifts, floor sweepers, and scissor lifts. Contact us at 416.658.1212 or visit us online at www.josefgases.com to learn more about our propane services.